Ages 5 and up. Challenge your students to describe similarities and differences using the full-color picture pairs in this set. Each picture pair includes pictures with differences that students must identify and describe. The set includes 60 cards. 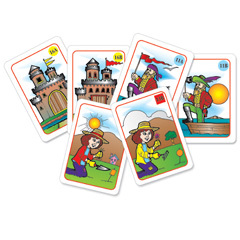 These cards are perfect for children with communication disorders, second language learners and others.